A neck lift procedure can restore the foundation of a youthful-looking neck by improving visible signs of aging on the neck and jawline. The loss of youthful contours in the neck can be due to a variety of factors, including heredity, gravity, environmental conditions, and stress. Excess fat and loose hanging skin under the chin can cause jowl formation. A neck lift procedure can remove fat and tighten the skin, many times without the need for surgery. If you are noticing or experiencing any of the items listed below, you are a good candidate and should consider a neck lift. If you are in good general health, have a positive attitude and realistic expectations, you are most likely a good candidate for a neck lift procedure. Lost the distinct jawline of your youth and want to restore it. A turkey wattle that makes you look much older than your age. Feel that your neck is too fat. 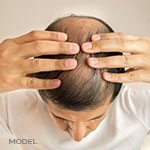 Have excess skin and wrinkles on your neck. What Are My Options for a Neck Lift Procedure? 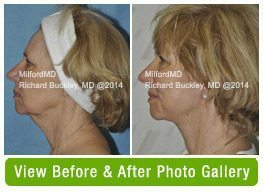 MilfordMD offers minimally invasive and non-surgical options for a neck lift procedure. Completely non-invasive Ultherapy uses ultrasound to lift and tighten skin on the neck. 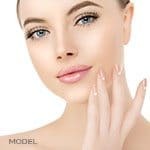 While micro-invasive ThermiTight uses a tiny probe to direct radiofrequency energy under the skin to encourage natural collagen production and tighten the skin. For fat reduction, PrecisionTx is a minimally invasive laser that melts and removes fat cells from under the neck. The PrecisionTx laser is then adjusted and used to tighten the skin. But if you prefer a non-invasive approach, MilfordMD also offers CoolSculpting for a neck lift procedure.